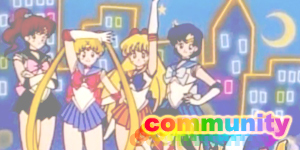 Ami, Rei, Makoto and Minako hang out in Crown Arcade and discuss their trip to the moon. 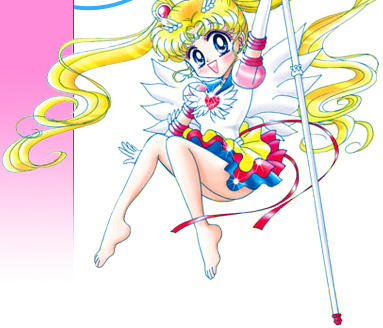 Later that night Usagi’s father gives Usagi her crystal. He had turned it into a necklace for her. 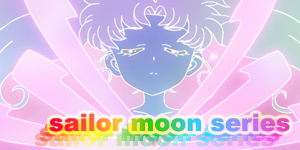 Usagi thinks about Mamoru and how she feels ready to find him. 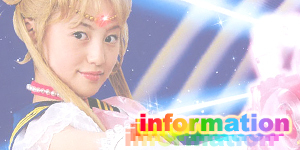 Usagi and Luna meet up with the others at Arisugawa Park and teleport into outer space. They land on the moon and discover the ruins of Silver Millennium, the old kingdom on the moon. As they walk towards it, they find a crystal sword stuck in a pillar. Sailor Mercury, Mars and Jupiter manage to loosen it a little but it’s Sailor Venus who manages to remove it completely. A hologram of Queen Serenity appears before them. It explains that the real Queen Serenity died long ago and that she is just a backup of her personality in the castle’s database. 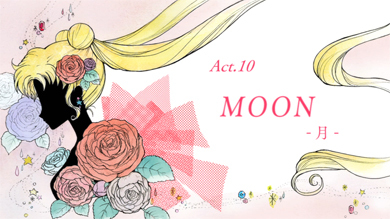 The hologram reminds the girls of their time on the moon and how Princess Serenity would sneak away to Earth and fell in love with the prince of the Earth, Prince Endymion. She then explains how an evil force rose up and corrupted the minds of the people on Earth and made them fight against the people of the moon. After Prince Endymion was killed in the conflict, Princess Serenity in a moment of emotional turmoil, committed suicide. The recording tells them all that they are all special Sailor Guardians and that the truth behind their reincarnation in the present day lies in that. The hologram begins to flicker and shuts down. They all return to Earth and appreciate the beautiful planet on which they were reborn. In the Dark Kingdom, the four kings overhear Queen Beryl talk to Queen Metalia. Beryl mentions that the four kings have had their memories changed. 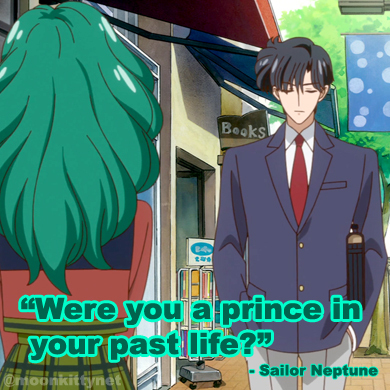 This causes all of them to suddenly start to remember their past selves as servants of Prince Endymion. Queen Beryl quickly restores their brainwashing and they once more obey her every command. In Crown Arcade’s command centre, the Sailor Guardians see that the entire planet has been frozen over. They go outside and are attacked by Zoisite, Kunzite, Jadeite and Nephrite. 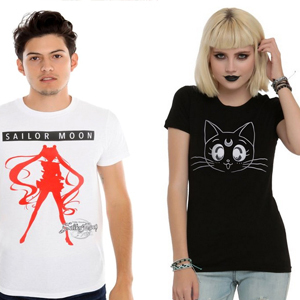 Sailor Venus tells the others that they had all fallen in love with these men in their past lives. They refuse to defend themselves while they’re attacked. 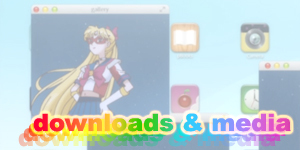 Sailor Moon uses Moon Healing Escalation to defrost the Earth and heal everyone. The Sailor Guardians then use Sailor Planet Attack to try and heal the four kings but they teleport away before being healed. Back in the Dark Kingdom, Queen Beryl has brainwashed Tuxedo Mask into being her servant. He goes to Tokyo as Mamoru with an evil red glint in his eyes. 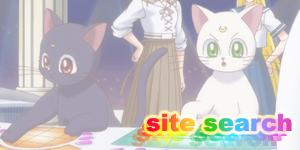 The group attack, Sailor Planet Attack was used for the first time in this episode. This was naturally the first time we had seen the surface of the moon and the remains of the moon kingdom, Silver Millennium in the present. The Holy Sword appeared for the first time in this episode of Sailor Moon Crystal. 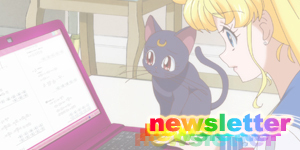 Sailor Moon Crystal fixed a major plot hole that was present in most other versions of Sailor Moon which initially claim that Queen Serenity reincarnated everyone in the present and then later say they were all reincarnated by the power of their Star Seeds (basically the soul of a Sailor Guardian). This episode fixed this continuity issue by removing all references of Queen Serenity sending them to the present and even hinted at the existence of Star Seeds (though didn’t mention them by name). Another problem that was fixed in this retelling was Queen Serenity shown using the Imperial Silver Crystal. 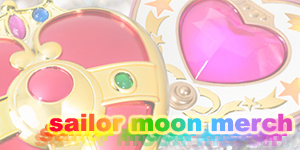 This was completely removed from Sailor Moon Crystal and the reason why will become very apparent once the crystal’s true nature is revealed and it’s intimate relationship with Sailor Moon. 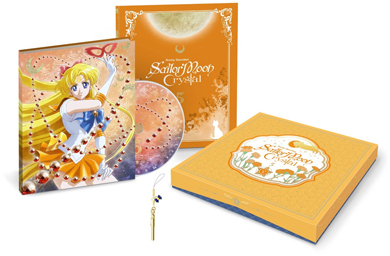 More information in the Sailor Moon Crystal DVD and Blu-ray Shopping Guide.